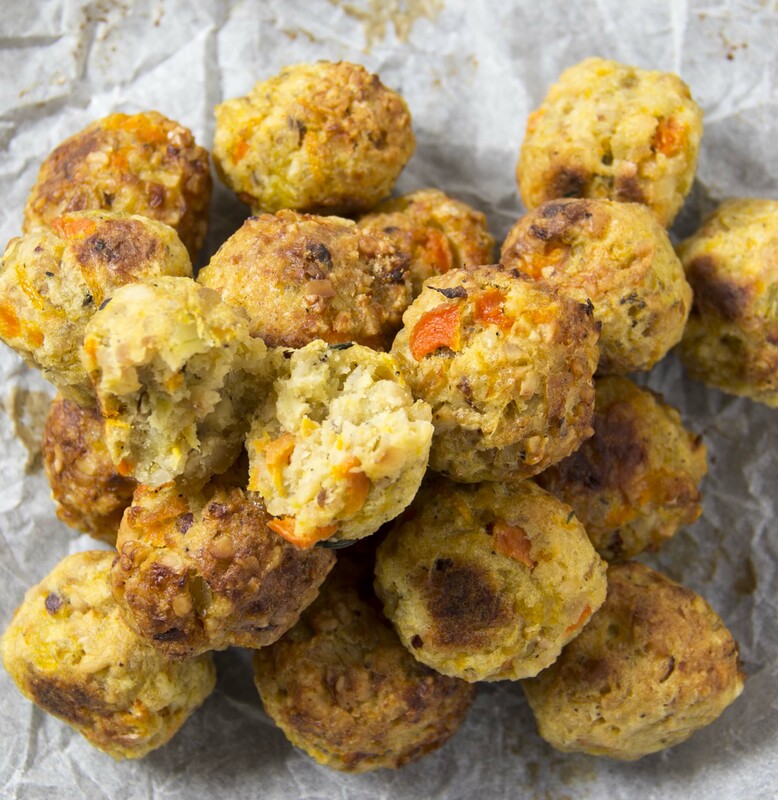 Plantain and almond stuffing balls. These can be enjoyed as an alternative to sage and onion stuffing. Slice the carrots, steam until just tender, then finely chop. Whilst the carrots are steaming, cut off and discard the plantain ends. Slice in half crossways and then lengthways. Discard the skin, then steam for 5-8 minutes. Mash and leave to cool. Heat a pan, add the oil and fry the onions and garlic until the onions are soft and translucent then put into a bowl to cool. Add the remaining ingredients and plantain, season and mix together. Using damp hands roll scoops of stuffing into truffle-size balls. Arrange them on a tray lined with parchment paper, brush with oil and bake for 20-25 minutes until golden. No Replies to "Crispy stuffing balls"